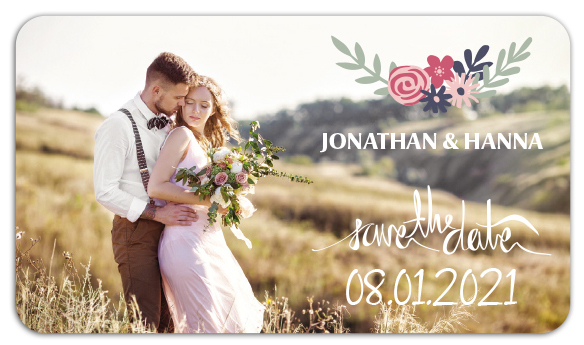 Customized 2 x 3.5 inch mini save the date square corner magnets are small in size still they possess high capability to move a viewer with their presence. It is well – known that wedding magnets are in vogue and are pricier, too. This typical category and particular specimen is offered by keeping the requirements of small budget couples in mind. People love retaining such magnets even after the event passes and couples struck to their daily routine. It is definite that this magnet makes a great wedding reminder and a souvenir, too.